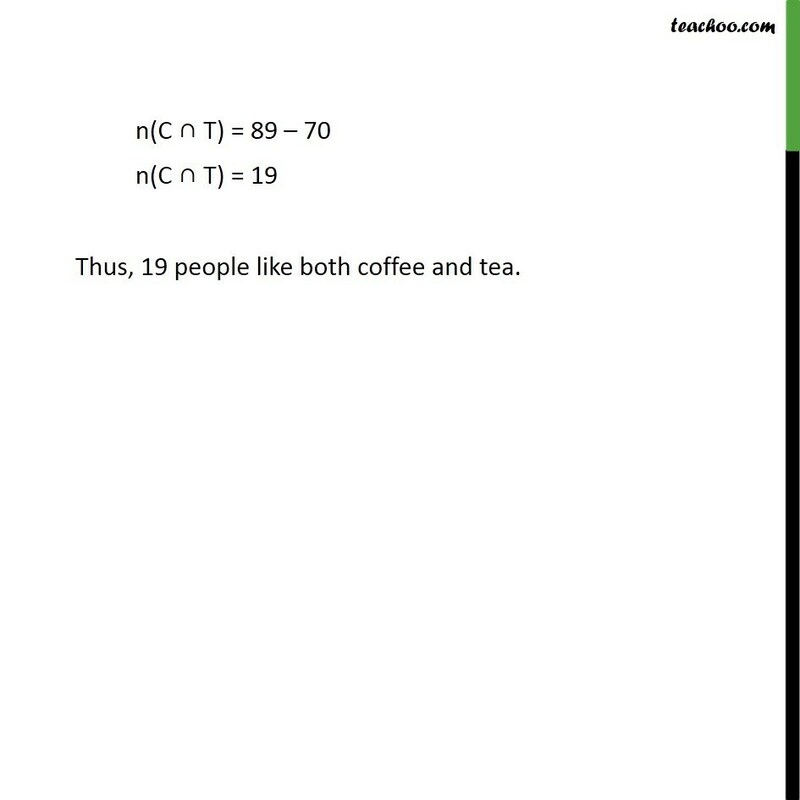 Ex 1.6,6 In a group of 70 people, 37 like coffee, 52 like tea, and each person likes at least one of the two drinks. How many people like both coffee and tea? 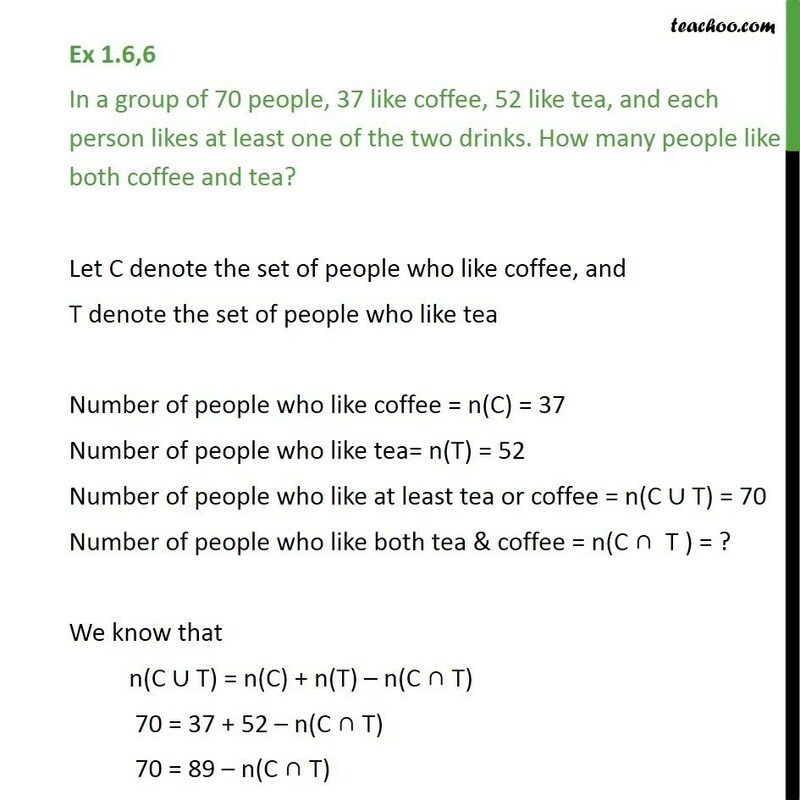 Let C denote the set of people who like coffee, and T denote the set of people who like tea Number of people who like coffee = n(C) = 37 Number of people who like tea= n(T) = 52 Number of people who like at least tea or coffee = n(C ∪ T) = 70 Number of people who like both tea & coffee = n(C ∩ T ) = ? We know that n(C ∪ T) = n(C) + n(T) – n(C ∩ T) 70 = 37 + 52 – n(C ∩ T) 70 = 89 – n(C ∩ T) n(C ∩ T) = 89 – 70 n(C ∩ T) = 19 Thus, 19 people like both coffee and tea.